A few weeks ago, I wrote a post listing ten of my favorite books. Many readers noted that it must have been hard to chose just ten and they were right! I liked that post so much I've decided to make it a weekly thing. I hunted for an existing meme to no avail. (There must be one somewhere, but I couldn't find it!) So, I decided to start my own! Here we go with Friday's Five, just a quick listing of five of my faves and a bit telling you why I love them. Please feel free to start your own Friday's Five and post your link below. I would love to hear about your personal faves! 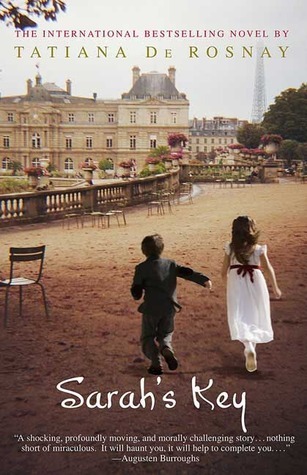 Sarah's Key takes place in France during the 60th anniversary of the Vel' d'Hiv', a roundup of Jewish citizens of France during the German Occupation preceding World War II. Julia Jarmond is a journalist writing about the Vel' d'Hiv' who uncovers the tragic tale of Sarah and her brother. Sarah's tale is told in flashbacks and has a profound effect on Julia's present circumstances. I just love this book, it is a beautiful and touching novel that is difficult to forget. 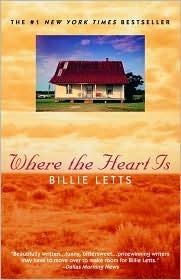 You might be familiar with the movie version of Where the Heart Is starring Natalie Portman and Stockard Channing and it's wonderful, but the novel is even better! Where the Heart Is tells the story of Novalee Nation, seven month's pregnant and abandoned by her loser boyfriend at a Walmart in a small southern town far from her home. After living in (and giving birth) in the Walmart, Novalee discovers kindness and love for the first time in her life. It all sounds very tragic and serioius, but the novel is quite funny, inspiring and lovely. Initially, I thought this series might be a little more "romance" genre than I usually prefer, but after reading the first book, I was hooked. Outlander is the story of Claire Randall, a WW II combat nurse, who mysteriously finds herself transported from Scotland in 1945 to the same Highlands in 1743, over 200 years in the past. I loved the time-travel element and Jamie (the Scottish hunky-man she finds herself fighting/falling for) was a great protagonist. The series is filled with turns and twists and held my interest throughout. I imagine the is no way you haven't at least heard of this series, but maybe you haven't read them yet. Well, it's time to stop procrastinating and pick this trio up! The scoop is: Mikael Blomkvist is a financial journalist who gets in hot water with his investigative articles. Lisbeth Salander is a deeply troubled young woman with mad hacker skills and a photographic memory. The two are thrown together and attempt to solve cases as well as discover the truth of Lisbeth's past. Honestly, when I read the first book, I was quickly over the central mystery and all things Mikael. Lisbeth is such a compelling character that I was avidly anticipating chapters where her life and going's-on were the focus. Luckily for me, the next two books center around Lisbeth, mostly, and are absolute page-turners. This novel is promoted as a paranormal novel for adults and, for me, it really delivered. 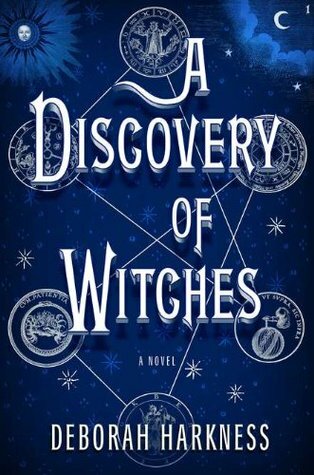 The story centers around Diana Bishop a scholar researching alchemy at Oxford, who might be magical. During the course of her research, she discovers a book (and a hottie vamp) that will change her life forever. You know how much I love the YA genre, but it is nice to have my paranormal fix set outside of a high school for a change. This novel is the first in a proposed trilogy and I can't wait for the next installment. Well, that's your Friday's Five for the week from me. Please check out the Friday's Five from my blogging buddies below and of course, we would love for you to participate and share five of your faves! To participate in Friday's Five, please enter the link to your Friday's Five below. Please don't forget to link back to your host here at Steph's Stacks! I feel a bit amiss with your selection. I have not read any of them :( Some how I must change that. Sometimes it is rather nice to meet a book series later on. I must read Where the Heart Is. You've got a wide taste, and it shows in the list this week. 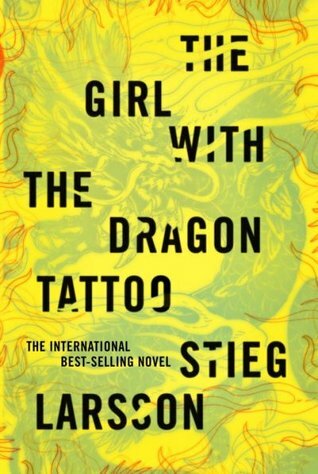 I didn't like the Girl with the Dragon Tattoo series very much. I thought it was a blockbuster, a bit like Dan Brown's books, but wasn't all that unique or special. 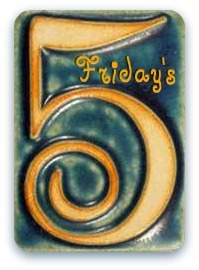 I did my own Friday's Five again, and added a Linky. Check it out! I really enjoyed "Sarah's Key." 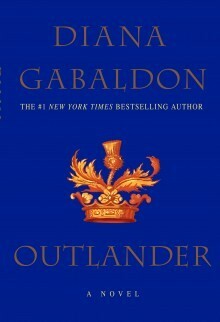 I also really enjoyed "Outlander" when I read it a few years ago. Tried to read the sequel and I maybe was 150 pages in when I gave up. Couldn't read anymore. It's too late and I'm too tired to participate in the Friday 5's today, but I will try to remember for next Friday. Now, to think of five books! I loved Sarah's Key- what a fascinating book about a part of WWII that I had never heard of. I couldn't stop reading. I have the Girl With the... series on my TBR list. I started the first one, but after about 20 pages I stopped reading because it started to drag. My friends have told me it gets better after a little longer- so I plan to give it another try soon. I loved Sarah's Key! Read it last year and it wasn't that well known at the time.. :) Not many others I know have read it I found! BTW, love your blog button! !